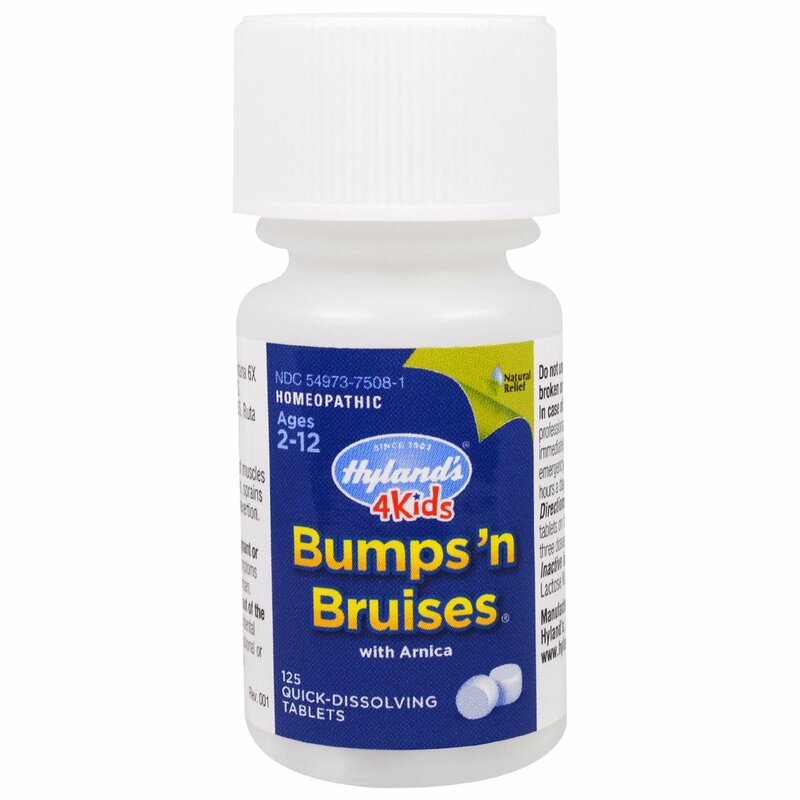 Hyland's 4 Kids Bumps 'n Bruises Tablets provide safe & effective relief of pain, swelling, bruising and soreness. 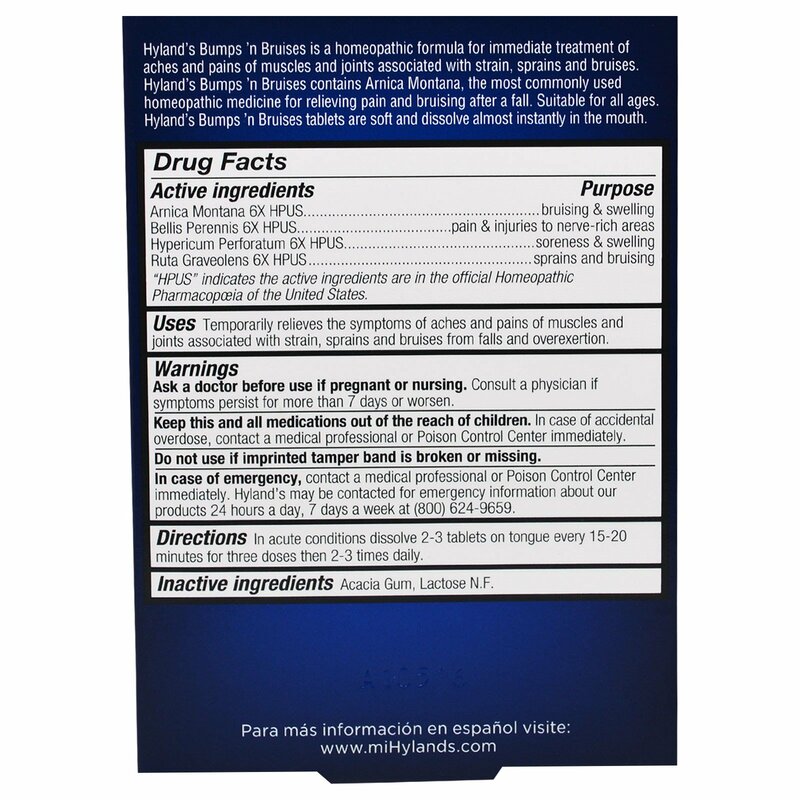 Hyland's Bump 'n Bruises is a homeopathic formula for immediate treatment of aches and pains of muscles and joints associated with strain, sprains and bruises. 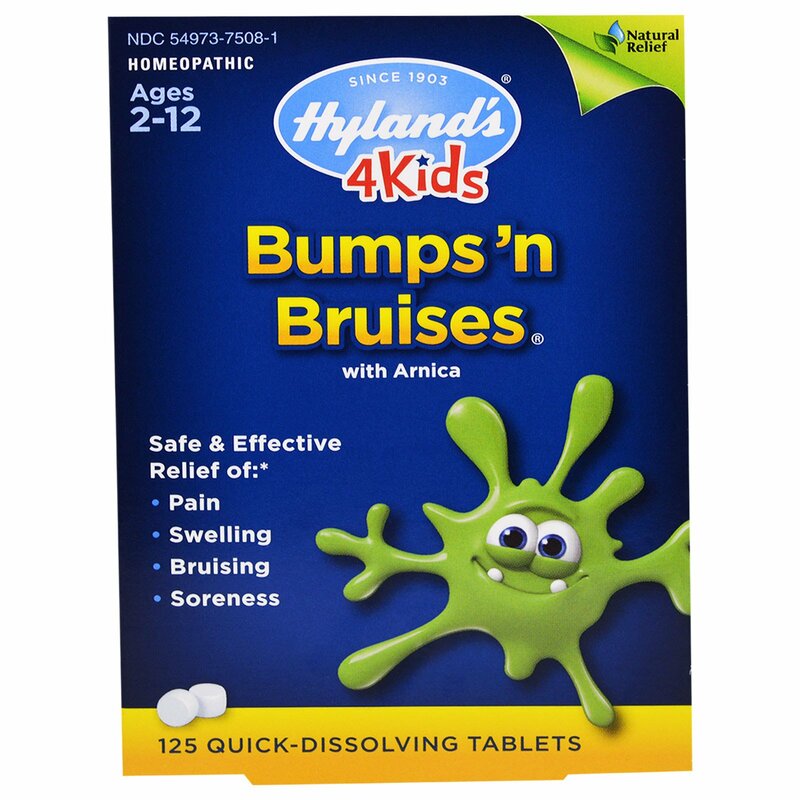 Hyland's Bumps 'n Bruises contains Arnica Montana, the most commonly used homeopathic medicine for relieving pain and bruising after a fall. Suitable for all ages. Hyland's Bumps 'n Bruises are soft and dissolve almost instantly in the mouth. Uses - Temporarily relieves the symptoms of aches and pains of muscles and joint associated with strain, sprains, and bruises and from falls and overexertion. In acute conditions dissolve 2-3 tablets on tongue every 15-20 minutes for three doses then 2-3 times daily.